Angus Lyons holds a commanding lead in the King of the Mountains classification at the halfway point of the Le Tour de Langkawi. 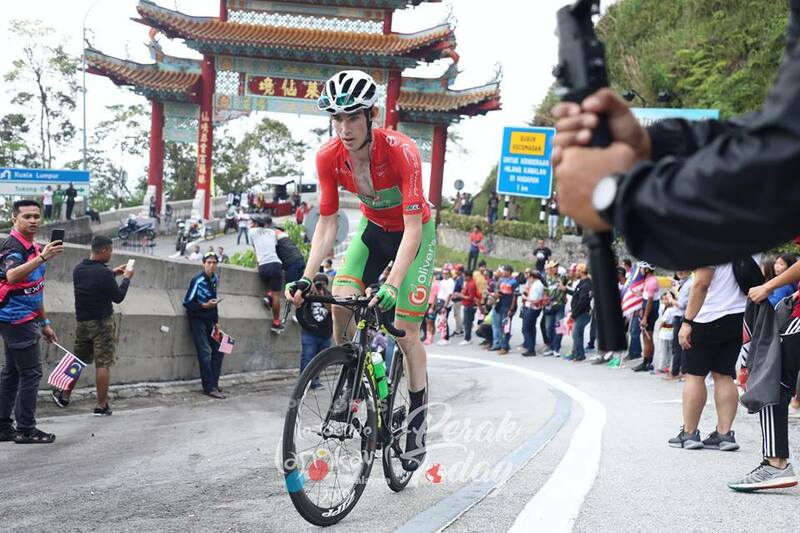 The 23 year old has a 23 point advantage in the race for the red jersey after the 4th stage of the tour, which finished at the top of Genting Highlands. Lyons has been present in two key breakaways which has helped him build his points advantage, and with his next closest challengers being Benjamin Dyball (Sapura) and Hernan Aguirre (Interpro Cycling Academy) who are in first and second place overall respectively, Lyons is in a strong position to defend the jersey over the second half of the race. Lyons’ teammate Brendon Davids was unable to hold his second place overall after the mountain top finish, but will look for breakaways to try to make time back up in the overall classification. Stage 5 of the race today 200.1kms from Tanjung Malim to Taiping will feature only one categorised climb, followed by a short 130km stage 6 with no climbs. The race will then transfer to the island of Langkawi for the final two stages of the race.